Inspired by the nomadic tents of the Orient, Indonesian tents are perfect for creating a different and unique environment where your guests can enjoy your events, celebrations and parties. 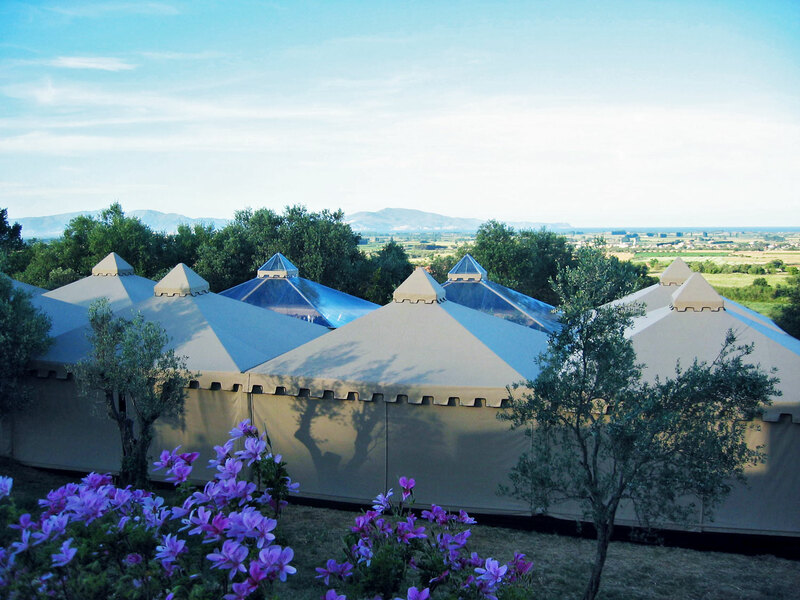 You will fall in love at first sight with the tents’ spacious interior, elegance and design. These tents are a 6×6 (36m2) modular design, and can be joined together. This means you can create a customised space to meet your expectations. It will be just like you imagined it. The Indonesian tents are available in a wide range of colours, including white, beige, jasper, grey, burgundy, chocolate or transparent, among others. Made with a steel structure and aluminium parts, these tents are resistant to winds of up to 80km/h and are suitable for surfaces covered by a layer of snow of up to 4cm/m2. Furthermore, the canvas of the Indonesian tents prevents dirt build-up and is waterproof due to its ‘Cleangard’ finish.